You have wisely chosen to engage in the collaborative process rather than a more traditional, adversarial process. You—and your spouse—are to be congratulated for choosing a more peaceful path. One of the cornerstones of the collaborative approach is the use of team meetings. These are the working meetings that include you, your spouse, both attorneys, and any neutral professionals that you have engaged. These meetings are very different from traditional settlement conferences. This handout is designed to help you prepare for your collaborative team meetings. Many people decide to enter the collaborative process, but then want to skip right past disclosure and option development. They mistakenly believe that jumping immediately into proposal/counterproposal will save time and money. However, in our experience, skipping the intermediate steps actually ends up costing more time and money because perspectives get entrenched, emotions spike, and the whole process gets derailed. Further, either or both spouses may not yet know what is in the marital pot. As a result, they may leave assets on the table or fail to address an asset or debt. In either case, that may cause a dispute down the line. There will be times, especially at the beginning, when you feel the process is moving too slowly. But we want you to understand that the methodical laying of the foundation actually results in the whole process reaching a resolution more quickly. In fact, a 2013 study by the Canadian Forum on Civil Justice showed that the average collaborative process took approximately half the time and cost approximately half as much as traditional litigation. In the collaborative process, we rely on an approach called “Interest-Based Negotiation.” During the meetings, you and your spouse will be supported in asserting your interests. Many negotiation processes focus on each person’s position, or what you want, but in the collaborative process, we focus on your interests, which are the underlying reasons why you want it. If you both want the same thing, then focusing just on what you want may not get you to an agreement. On the other hand, if we learn why you and your spouse want something, maybe we can find an alternative that meets the underlying needs of both you and your spouse. In most traditional negotiation settings, you and your lawyer sit on one side of the table, while your spouse and the opposing counsel sit on the other side. It’s almost like a face-off, and that is not a good way to reach agreements. By contrast, in the collaborative process, you and your spouse might sit on the same side of the table. This symbolizes the fact that you are working with one another, not against one another, to find a solution to a shared set of problems. Further, there will be times when your attorney will speak with your spouse and your spouse’s attorney will speak with you. This is to help build rapport and encourage teamwork within the group. In fact, there may be times when your attorney may bring up points that seem “advantageous” to your spouse, and vice versa. This is normal. Doing so may even help you achieve your goals in a way that you had not thought of before. But always remember that your attorney is representing you and your spouse’s attorney is representing your spouse. Therefore, you should only take legal advice from your own attorney, even if you adopt an idea suggested by the other attorney. How Much Does It Cost to Fight for the $100 Lamp? Divorce is not just a legal matter. It is also a financial matter as well as an emotional matter. That is why we have an interdisciplinary team to help you with all aspects of your divorce. One thing we see all the time in traditional divorce settings is spouses fighting over the $100 lamp. They may spend thousands of dollars on attorneys’ fees, appraisers, and expert witnesses. The truth is that these spouses are not really fighting over the $100 lamp, but rather over something underneath. It may be a power struggle or a desire to control (or to not be controlled). It may be due to hurt or anger. It may be just a matter of principle that they should get the lamp. But whether it is a power struggle, an emotional attack, or just acting out of principle, this type of conflict can incur unnecessary costs. In the collaborative process, we urge you to look at the bigger picture. What is it that you truly need? What will help you, your family, and your children (if applicable)? Is it really worth fighting over a $100 lamp? In the scheme of things, probably not. We sincerely believe that the collaborative process is the single best way to resolve family law matters for most families. But it will still be difficult. Divorce is difficult. And just because you and your spouse entered into the collaborative process does not mean those traits or experiences that lead to the divorce will magically go away. They will not. Be prepared: You will get frustrated at times during team discussions. There will be things that your spouse—or perhaps even one of the professional team members—will do that just rubs you the wrong way. You are going through a difficult time, and you may be triggered more readily now than you normally would be. This happens. The key is not to let that frustration trick you into making a hasty decision to terminate the collaborative process. If you terminate the process, you will need to hire new attorneys and provide more retainers, and you will likely begin the long and expensive road into a nasty court battle. You will almost surely regret this decision later on. Instead, take a breath. Call for a break. Speak with your attorney or your collaborative facilitator about what is frustrating you. Voice what is concerning you so that the team can formulate a plan to productively address the issue. And during these difficult times, remember this: The vast majority of collaborative cases end in a full agreement between the spouses. 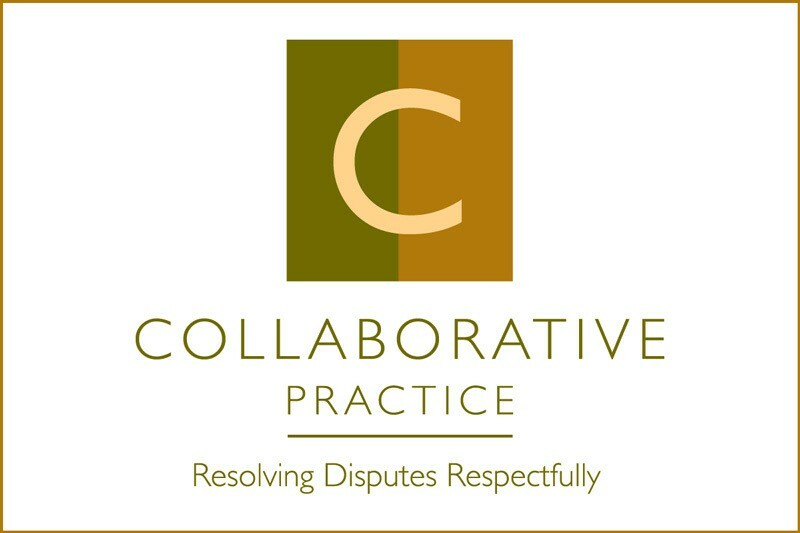 Ongoing research by the Florida Academy of Collaborative Professionals shows that approximately 92% of all families who utilize the collaborative process reach a full resolution of their dispute. Likely, your divorce will be no different. You will get through this. And your collaborative team will help you! Fisher, R., & Ury, W. (1981). Getting to Yes: Negotiating Agreements Without Giving In. New York, NY: Penguin Books. Gaies, J. S. (2018). A Clear and Easy Guide to Collaborative Divorce. 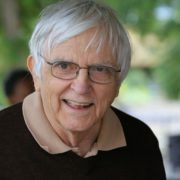 Tampa, FL: Jeremy S. Gaies, Psy.D. Gaies, J. S. (2018). The First Joint Collaborative Meeting. In Mosten, F., & Cordover, A. (Eds.) Building A Successful Collaborative Law Practice. Chicago, IL: American Bar Association Publishing. Tesler, P.H., & Thompson, P. (2007). Collaborative Divorce: The Revolutionary New Way to Restructure Your Family and Resolve Legal Issues, and Move on with Your Life. New York, NY: HarperCollins Publishers. Webb, S.G., & Ousky, R.D. (2006). The Collaborative Way to Divorce: The Revolutionary Method that Results in Less Stress, Lower Costs, and Happier Kids—Without Going to Court. New York, NY: Hudson Street Press. 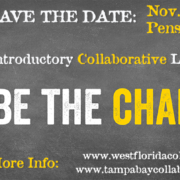 This document was originally developed with the members of the Tampa Bay Collaborative Trainers. Adam B. Cordover is a member of the Tampa Bay Collaborative Trainers and teaches attorneys, mental health professionals, and financial professional how to help families via the collaborative process. He is also co-author with Forrest Mosten of Building A Successful Collaborative Family Law Practice (ABA 2018). What is a Collaborative Facilitator? Pre-Order Cordover Mosten ABA Book Now!